I WAS BORN IN BROOKLYN, NEW YORK, WHERE, AT A YOUNG AGE, I DID TRAVEL WITH MY GRANDMOTHER, WHO WAS A MINISTER IN HER CHURCH ORGANIZATION. IT WAS THIS EXPOSURE TO THE CHURCH, AT THE AGE OF (5), THAT FACINATED ME AND INSPIRED ME, NOT ONLY TO FIND OUT MORE ABOUT CHRIST AND CHRISTIANITY, BUT ALSO TO BECOME AN INTRICATE PART OF THIS WORSHIP AND PRAISE EXPERIENCE. I ACQUIRED MY LOVE FOR GOD AND THE MUSIC THAT PRAISES HIM THROUGH YEARS OF GOOD AND BAD EXPERIENCES. I SOUGHT TO FLAVOR THE WRITTEN MATERIALS OF WRITERS AND COMPOSERS, BY ENHANCING THE EXPRESSIONS OF THE MESSAGE WHETHER VOCALLY ARTISTIC, OR INSTRUMENTALLY PERSONIFIED. I CAME TO THE GLOBAL ARENA WITH A QUORUM OF TALENTS. I AM AN ACCOMPLISHED VOCALIST, MUSICIAN, WRITER, ARRANGER, AND DIRECTOR OF MUSIC. I HAVE BEEN SINGING SINCE THE AGE OF (7) YEARS, AMD PLAYING THE PIANO SINCE AGE (11)). i HAVE PLAYED AND DIRECTED MUSIC FOR MANY YEARS STRECHING FROM THE EAST COAST TO THE WEST IN THE U.S. I HAVE BEEN ON TV PROGRAMS SUCH AS "TV GOSPEL TIME" AND "SING YE" IN THE STATES HIGHLIGHTING GOSPEL MUSIC IN ITS FOUNDATIONAL STAGE IN REFERENCE TO PERMANENT TV VIEWING. "BET TV" AND "BOBBY JONES GOSPEL" AND SEVERAL OTHER GOSPEL PROGRAMS HAVE NOW GRADUATED TO BECOMING THE MOST SORT AFTER WEEKLY VIEWING GOSPEL STATIONS IN THE US. I WAS ALSO A BRIEF MEMBER OF THE "GOSPEL MUSIC WORKSHOP OF AMERICA, INC." FOUNDED BY "THE LATE" REV. JAMES CLEVELAND (KING OF GOSPEL MUSIC) IN THE LATE 70'S. I ALSO ACCOMPANIED SUCH GREATS AS: RICHARD SMALLWOOD, (THE LATE) REV. DONALD VAILS, KEITH PRINGLE, MYRNA SUMMERS, DR. MARGARET DOUREAUX, AND HEZEKIAH WALKER. THE GOSPEL MUSIC SCENE TODAY AS WE LISTEN TO THE NEW SONGS OF WRITTEN COMPOSERS, IS ALIVE AND THRIVING IN EUROPE. HOWEVER, THROUGH MANY YEARS OF TRAINING FRM PROMINENT GOSPEL MUSIC DIRECTORS IN THE U.S., and BY ATTENDING MANY GOSPEL MUSIC WORKSHOPS BY WHICH ONE LEARNS THE ABILITY TO EXPRESS AND DIRECT THIS MUSIC, I HAVE ACQUIRED THE ABILITY TO HIGHLIGHT SUCH KNOWLEDGE WITH AMPLIFIED APPLICATION. I HAVE ALWAYS FELT AND BELIEVED THAT GOSPEL MUSIC MUST NOT ONLY SOUND GOOD AND BE FILLED WITH LOTS OF EMOTION AND MOVEMENTS, BUT MUST ALSO SPEAK TO ONE'S HEART AND BRING HOPE, LOVE, PEACE, ETC. IN THIS AGE OF UNCERTAINTY. SINCE ARRIVING IN GERMANY IN 1975, I CONTINUED MY LEADERSHIP SKILLS WITH GOSPEL CHOIRS FROM THE NÜRNBERG, GERMANY REGION THROUGH MILITARY AFFILIATION. I HAVE APPEARED SEVERAL TIMES ON RADIO AND TV FROM THE AMERICAN FORCES BROADCASTING FACILITIES WHICH WAS KNOWN AS "THE AMEN CORNER". IN 1984-1996, I WAS A MUSICAL DIRECTOR FOR THE POPULAR AND WELL KNOWN "ROBERT JACKSON & THE JACKSON SINGERS" TO WHICH I ACCREDIT (8) YEARS OF EXPERIENCE. AS A MUSICIAN, I JOINED THE GROUP DURING THE EARLY STAGES OF THEIR CAREER, AND WAS LATER APPOINTED MUSICAL DIRECTOR TO WHICH WE HAD AT THAT TIME (3) CD'S TO OUR CREDIT. WE APPEARED ON SEVERAL TV PROGRAMS SUCH AS ZDF, ARD, AND SAT 3. IN 1995 THE JACKSON SINGERS WERE CASTED IN A FILM ENTITLED "LE NOUVEAU MONDE" WITH JAMES GANDOLFINI & ALICIA SILVERSTONE, PRODUCED BY ALAIN CORNEAU. I ALSO APPEARED WITH THE GROUP AT THE "ALTE OPER", (THE OLD OPERA HOUSE) IN FRANKFURT. I WAS A PART OF ONE OF THE GREATEST GOSPEL-EVENTS IN GERMAN HISTORY, WHICH WAS AFTER THE COMING DOWN OF THE "BERLIN WALL". WE WERE THE FIRST GOSPEL GROUP TO GRACE THE CITIES OF THE FORMER EAST BLOCK COUNTRIES SUCH AS: CHEMNITZ, LEIPZIG, DRESDEN, HALLE, ERFURT, AND OTHERS. I HAVE BEEN ON STAGE WITH NUMEROUS STARS AND CELEBRITIES, EUROPEAN AND AMERICAN, SUCH AS: ROBERTO BLANCO, OSCAR PETERSON, LIONEL HAMPTON, PAUL ANKA, ODETTA, JULIAN LENNON, ELKE SOMMERS, UTE LEMPER, MR. HOLLYWOOD, AND THE FAMOUS WEATHER GIRLS TO NAME A FEW. TV APPEARANCES ON THE RUDI CARRELL SHOW, TONY MARSHALL SHOW, AND ALLE JAHRE WIEDER TO HIGHLIGHT A FEW MEDIA APPEARANCES. I HAVE TRAVELED EXTENSIVELY THROUGH GERMANY, TURKEY, DENMARK, CZECHOSLOVAKIA, FINNLAND, PORTUGAL, ITALY, SWITZERLAND, NETHERLAND, BELGIUM, NORWAY, AUSTRIA, ETC. ON DIFFERENT MUSICAL PROJECTS FOR THE LAST PAST (15) YEARS. 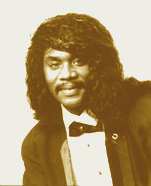 PRESENTLY, I AM THE MANAGER OF MY OWN GROUP KNOWN AS "RANDALL TAYLOR AND THE REVELATION GOSPEL SINGERS". WE HAVE HAD TV APPEARANCES APPEARANCES IN SAT 1, RTL, AND ARD." WE CATER WEDDINGS, GALAS, AND CONCERTS. THE LIST GOES ON AND ON, AND SO DOES MY INSPIRATION FOR THE TALENT I LOVE THE MOST.